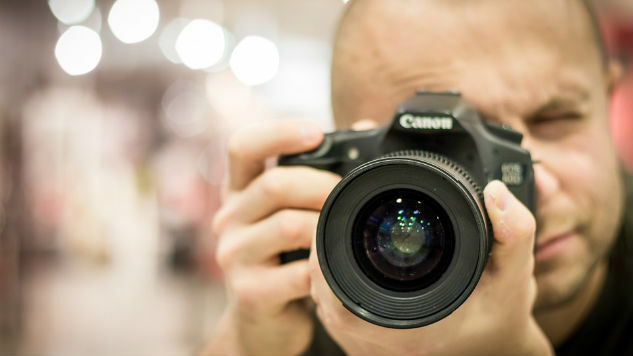 Buying a camera typically includes a basic lens like the 18-55mm or the 70-300mm. These lenses work fine for most situations, but there will come a time when you need to start looking into more specialized lenses. Buying new lenses for your camera may add to the cost of ownership, but the ability to carry the lenses over to any compatible upgraded bodies will offset that cost. I’ll be listing a few entry level and mid-tier lenses you should look into to expand your shooting capabilities. As with all parts to a camera, be sure the mounting fits your camera body before purchasing. So here they are: the three lenses you need to check out to add to your DSLR’s capabilities. While the typical zoom lenses will suffice for everyday shots like candids, shooting high quality portraits typically requires a fixed lens. While not as versatile for distance, the fixed lenses are capable of focusing and highlighting portrait subject faces, placing emphasis on the person in frame instead of the background. Fixed lenses also have the added benefit of being lighter and less cumbersome than zooms, making perfect carry lenses for travel. A modern 85mm, such as Nikon’s current model AF-S f/1.8G (Nikon 85mm) is capable of fantastic bokeh, the blurred background effect popular in portrait work. Canon has an EF 50mm (Canon) capable of indoor and outdoor shots, as well. Wide angle lenses are popular amongst nature landscape enthusiasts and skateboarding videographers for their amazing effect on scenes both close and far. Given the short minimum focal distance, the wide angle lens is capable of a variety of uses from capturing panoramic shots of the Grand Canyon, to recording the frenetic and hypnotic action of extreme sports. Any lens under 35mm length will have this effect, as long as you are using a full frame camera, or one without a cropped sensor found in most entry level models. Rokinon’s Fish Eye (Rokinon Fish Eye) lens comes in almost any lens mount you could need, and keeps well within budget at around $250. Fisheyes are great for funhouse effects on subjects as well. For outdoor photography, aperture ranges of ~f/2.8-3.5 permit plenty of light into the camera without blowing out the shot, but aperture ranges of f/1.8 on the more expensive Olympus M Zuiko (Olympus Zuiko Wide Angle) ($700 on most sites) are capable of more extreme bokeh effects. Keep in mind: fisheye lenses have a warping effect on the edges of your shot, but wide angle lenses avoid that. A telephoto lens that can be set to 200-300mm and f/2.8 stops such as a Canon EF 200mm (Canon 200mm) or the slightly cheaper 55-200mm (Canon 55-250mm) can blur the background of a shot at close range, and capture subjects out of reach like skittish animals. Getting used to a telephoto perspective takes time, but a good rule of thumb is to practice up close and move farther for desired perspective. At more open apertures, backgrounds begin to appear closer to subjects, while up close and closed apertures will increase the bokeh, giving a wide range of shot composition with a few tweaks.